Nuway is a non-profit organization that offers treatment services for substance abuse and co-occurring mental health disorders to men, women, and transgender individuals. Nuway was founded in 1966 and since then has been offering a complete continuum of care through affordable treatment services. Nuway has the honor of being the first organization that offered the Co-occurring Disorders Program (CDP) in which equal treatment opportunities are provided for substance abuse and mental health disorders. Nuway has been able to help over 40,000 individuals and families over the last 50 years of its existence. The recovery homes offer residential, outpatient, and counseling programs. The programs offer medium and low-intensity treatment based on individualized assessments and plans for each patient. The treatment programs use holistic approaches and therapies such as Accelerated Resolution Therapy and Prolonged Exposure Therapy through which patients are able to start their healing and make daily progress to achieve everlasting recovery. The staff at Nuway is comprised of highly professional and trained individuals who have extensive experience working in the behavioral health industry. They offer their expert services in a compassionate and dignified manner which lets patient forget about their past and focus solely on their healing and recovery. 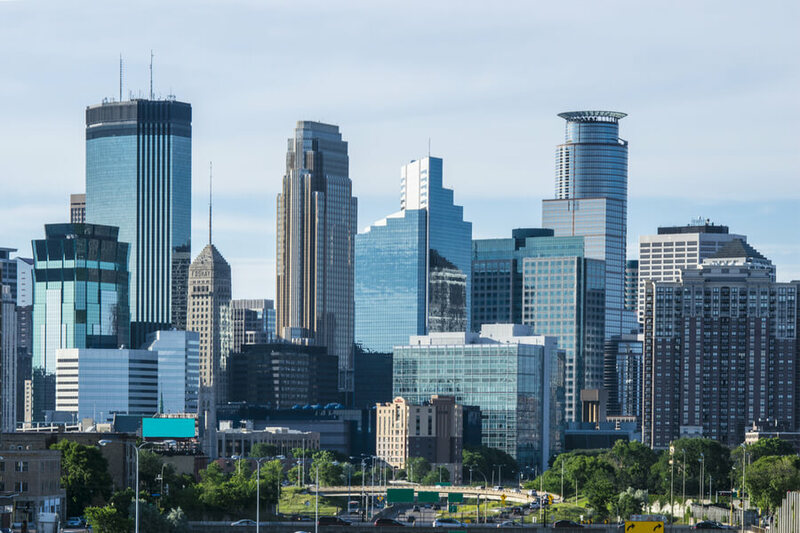 Nuway Recovery Homes are located at beautiful locations in Minneapolis, Minnesota. Both the homes are built in modern architecture with each home accommodating 20 patients at one time. The recovery homes are built just like a normal house where residents feel relaxed and ‘at home’. Residents stay in single or double-occupancy rooms. Each room has a wooden floor and twin sized beds with drawers beneath the mattress. There are side tables and chairs for each patient. Bathrooms are shared among residents of all rooms. The houses have a library where residents can find books on a variety of topics. The library is furnished with comfortable chairs and sofas that provide a peaceful and tranquil atmosphere to residents for reading. The outside courtyards are furnished with chairs and benches. They provide a serene and peaceful environment where residents can take part in counseling sessions, go for walks or simply sit down to relax and enjoy nature. There are in-house chefs at each facility who prepare meals for residents three times a day. Residents eat the meals together in the dining rooms which are also furnished comfortably and decorated beautifully. Residents can make special requests from the chefs who try to incorporate them in meal preparations. Nuway Recovery Homes was founded in 1966 and have been the pioneers in introducing the Co-occurring Disorders Program. Through this program, men and transgender individuals are provided treatment services for substance abuse and co-occurring mental health disorders in a secure and private environment. The campus provides a home-like atmosphere to clients where they can start their journey of recovery. The dedicated and experienced staff at the facility offers 24/7 services to clients to make their stay as comfortable as possible. They use therapeutic approaches to treatment which include innovative therapies as well as participation in 12-step meetings to ensure that the mind, body, and spirit of the client could be healed. Each client is assessed individually and individualized treatment plans are created for each of them. The usual stay of clients at the residential program is 75-90 days. Dr. David has a Doctorate of Counseling Psychology from the University of St. Thomas. He has over thirty years of experience in the field of behavioral health and chemical dependency. He is an adjunct faculty member at the University of Minnesota. He also works as a Clinical Supervisor of Emergency Behavioral Medicine at North Memorial Hospital. Jacques has a BA in cross-cultural communication from Bethany College of Missions and an MA in Ministry Leadership from Crown College. He is a certified Addiction Counselor and has worked as a chemical dependency technician and a counselor in inpatient and outpatient programs. He also did counseling internships at Fairview Recovery and Eden House before joining Nuway Recovery Homes. Cassie has a Bachelor’s degree in Physiology and a Master’s degree in Nursing from the University of Minnesota. Before joining Nuway Recovery Homes, she served as a registered nurse at the Fairview Southdale Hospital. Her responsibilities at Nuway mainly comprise of providing compassionate care to clients.